I know why you’re here - you’re trying to find the best grind and brew coffee maker, right? If you’re a coffee lover like me, I’m sure you take your coffee seriously. While there are a lot of factors involved in making a great cup of coffee – it all boils down to the quality of ground coffee beans. If you already know the difference in the taste and aroma of pre-ground and freshly ground coffee beans, then you’re on the right track. Grinding coffee beans right before brewing (video) is the best way to make a great cup of joe. Fortunately, there are coffee machines that can do that for all the coffee lovers in the world (including you). 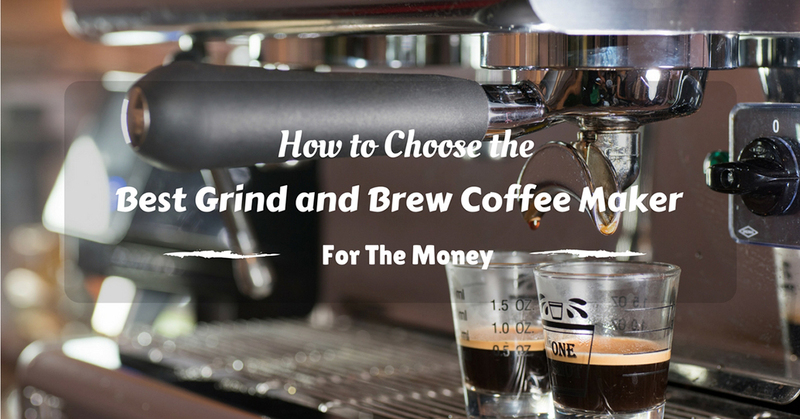 Which Grind and Brew Coffee Maker Should You Choose? While you can buy a separate grinder for your coffee maker, this can prove to be troublesome and time-consuming. In this modern age, you can now get a coffee machine that will prepare a delicious cup of brewed coffee for you – from the grinding process to the pouring-into-your-cup step. When buying a coffee maker with built-in grinder, it’s important to know that there are 2 basic types of grinders (video) – a grinder with a blade system and a burr grinder. Each one has its own advantages and disadvantages, so it’s really up to you to choose between them. With a blade grinder, a set of blades will be present in the design. These blades will then spin at high speed so as to cut and slice through the coffee beans. As coffee particles near the center of the blades get processed more than those at the sides, the overall texture of the ground coffee will not be uniform in size. Furthermore, the h﻿eat from the spinning blades will also affect the taste and aroma of your brewed coffee as a result of the grinding process. 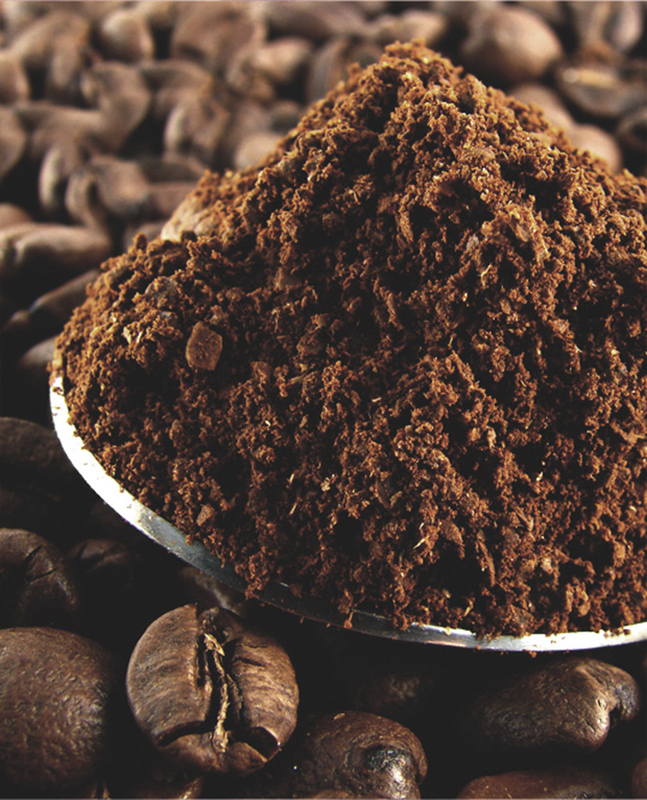 Instead of slicing and cutting (such as in blade grinders), burr grinders crush coffee beans instead. The final texture of ground coffee will then be uniform in size (course or fine, as you intend). Grind and brew coffee makers sometimes come with carafe features. Know that the carafe or coffee pot in your coffee machine affects the quality of your brewed coffee. Understanding the 2 types of carafes will allow you to choose the model that’s more suitable to your taste. 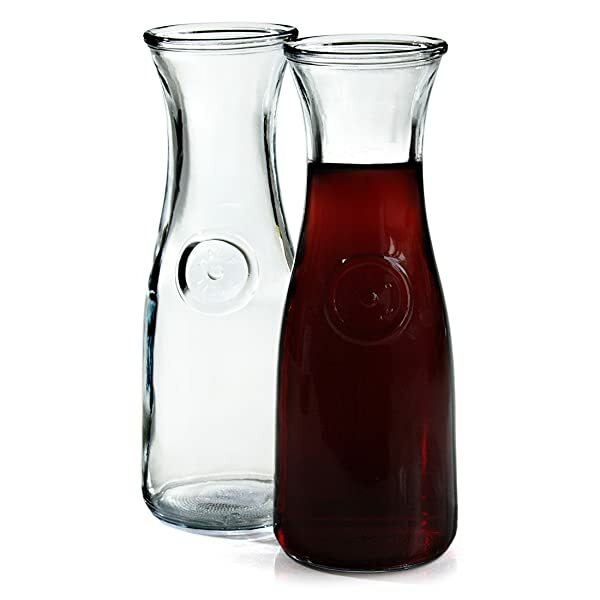 Glass carafes are usually designed to stay on a hot plate to maintain its temperature. While this can keep your coffee hot, the heat will actually cook your coffee further. Keeping coffee in this condition for a long time will result in stale taste. 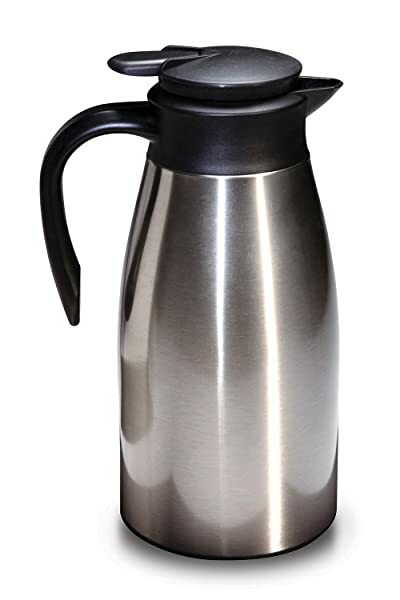 A thermal carafe will keep coffee hot from the inside. This design is effective in keeping coffee hot for a long time without affecting its taste and quality. Needless to say, thermal carafes are better than glass carafes. However, the thermal types are also more expensive than the glass types. Since you’re looking out to buy a grind and brew coffee machine, you certainly want to end up with a unit that can deliver the best tasting brewed coffee conveniently. Consider the features listed below and see which ones are the most important to you. Grinder Options – If you want maximum control on the built-in grinder of your coffee maker, look for a model that has adjustable grind size. You need this feature when dealing with coffee beans of different origins, ages, and roast type. Having a grinder disable option is also important so that you can still use the coffee maker with pre-ground coffee. Strength Settings – Coffee machines with strength settings will allow you to customize every cup of coffee. The device will automatically add more water for weak blends and use less water for bold blends. Single Cup or Carafe – Some models of coffee makers have carafes while others dispense coffee cup after cup. Programmable Design – The more programmable settings on a model of coffee maker, the more customizable your brewed coffee will be. Other controls such as a timer, auto start, and auto shutdown are also important for safety and convenience as well. Heating System – The right temperature during the brewing process will ensure that you always have the perfect cup of coffee in every brew. While the technical aspects of a coffee maker are very important, physical attributes are also equally important. After all, you will always be using this coffee machine (at least once a day – maybe more). Check out the following before deciding on a particular model. Simple Design – While you want a full-featured coffee machine, you also want it to be easy to use. Easy to Clean and Maintain – Cleaning your coffee machine (video) is a part of enjoying good coffee all the time. 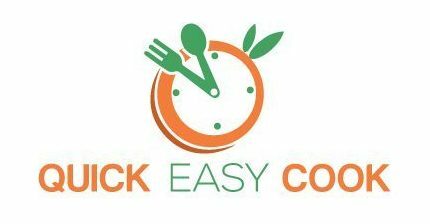 Still, you want the cleaning process to be easy and fast. Having drip trays help, as well as having dishwasher safe parts. Price – Although you want to save money, investing in a good coffee maker will give you more satisfaction. So, consider the price – but also consider increasing your budget to afford the best model that you can buy. This year’s top coffee makers will let you enjoy your cup of coffee conveniently. Take your pick from the products below. This grind and brew coffee maker is an entry level model, that’s why it’s quite cheap. As such, you can’t expect it to perform as well as high-end models. Still, it’s worth considering, especially if you have the limited budget. If you’re not particularly looking for a coffee maker with a built-in burr grinder, this model will be fine. It comes with a lot of useful features that will make brewing coffee a breeze. It uses a blade grinder and the grinding option can be programmed into 7 settings (for the texture – fine of a course). This model is fine if you have low expectations for a good cup of coffee. A great brew is simply hard to achieve when you use a blade grinder (a burr grinder is ideal for flavor retention). So, if a not-so-perfect coffee that’s brewed conveniently is all you want, you can consider buying this particular model. 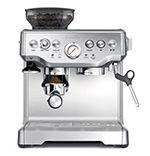 To be more precise, know that this coffee maker with grinder is actually an espresso machine. It doesn’t just brew regular coffee – it makes espresso, cappuccino, and latte as well (video). 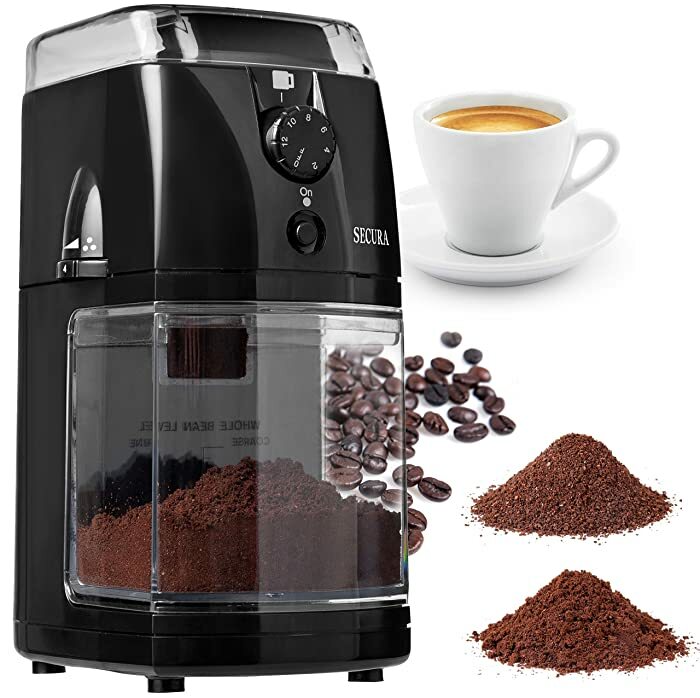 It has a built-in burr grinder with adjustable settings on the fineness and coarseness of ground coffee. It is equipped with stainless steel broiler for even distribution of heat while brewing. Its patented Cappuccino System allows you to steam milk for your cappuccino and latte creations. 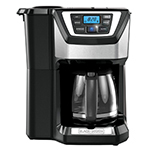 It is designed with programmable settings to make brewing coffee fast and simple. You can use whole beans and pre-ground coffee in this coffee machine. There’s a cup size option that allows you to use tall mugs when making coffee. The strength settings option makes it easy to customize coffee according to your taste (weak or bold). While this model doesn’t make use of a carafe, you have the option of making 1 or 2 shots of espresso at a time. In this aspect, it works like a single cup grind and brew coffee maker. The water tank is quite small and will need to be refilled quite often if you’re making coffee for a group of people. The grinding bin is made of plastic and doesn’t look very durable. Its build quality is questionable as there are a lot of plastic components. For a coffee machine with the grinder, I like this model because it comes with a burr grinder instead of a blade grinder. That makes all the difference in making brewed coffee as proper grinding of beans affects the taste, aroma, and quality of the final result. Cuisinart is known for making good quality kitchen appliances. With their version of grind and brew coffee maker, coffee lovers can make delicious cups of coffee right in their own kitchen. The blade grinder on this unit allows you to grind whole beans right before brewing. This feature can also be turned off if you already have pre-ground coffee. Its 24-hour programmable feature makes it possible for you to wake up to freshly brewed coffee. It makes use of blade grinder – this can result in uneven grinding of coffee and the final result will not be as delicious. 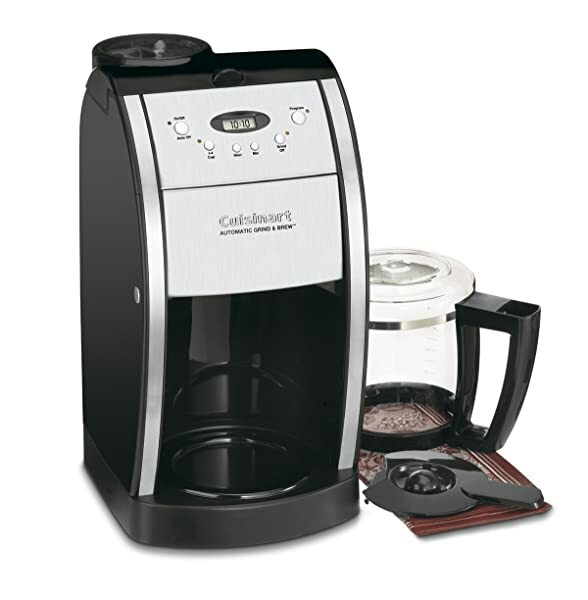 For an affordable model, this Cuisinart grind and brew 12 cup coffee maker is a good choice. It’s at number 2 on this Top 5 list because it makes good coffee (note: not great coffee) at a very affordable cost. Personally, if I can’t afford a more expensive unit, I will go for this one. It’s not perfect – but it’s ok. When I looked at all the available grind and brew coffee makers on the market today, I found it quite hard to find a model that can deliver a perfect cup of brewed coffee. Ordinary coffee makers just can’t do it – that’s why it becomes more practical to consider espresso machines. 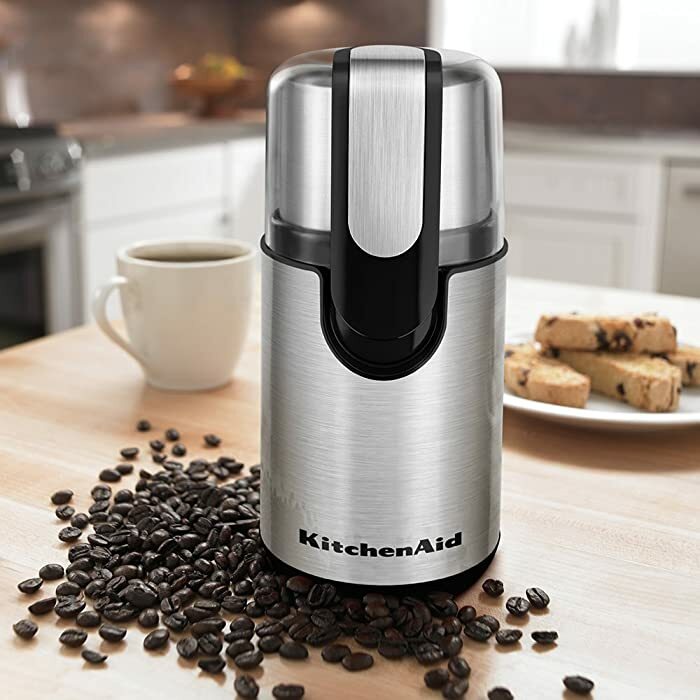 This model uses a stainless steel burr grinder to grind whole coffee beans. It comes with adjustable size, so you can make fine and course particles of coffee. This feature can also be turned off if you want to use pre-ground coffee. The sealed bean hopper can hold up to ½ pound of whole coffee beans. The thermal coil heating system is powered by 1,600 watts to ensure proper heating temperature during the brewing process. It comes with a steam wand for milk texturing (video) – with this feature, you can also make cappuccino and latte with this one coffee machine. The steam wand is quite weak – it can take some time to build up steam and froth. In spite of all the negative aspects of this coffee machine, it still made the Top 1 position on this list. The reason for this is that it can make a perfect cup of brewed coffee – thanks to its built-in burr grinder. 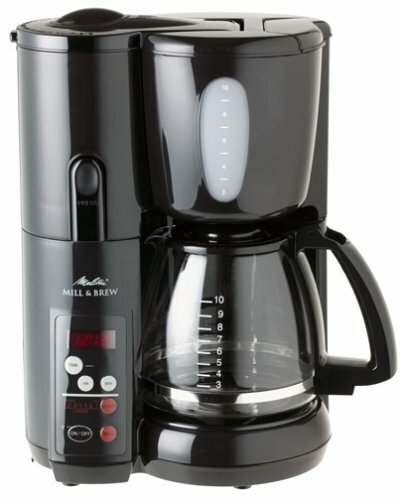 While it’s not a drip coffee machine, it can be considered as the best single cup coffee maker with grinder. Since I am basing my recommendation on the quality of brewed coffee, I would have to pick the Breville Espresso Machine. Even though it’s quite expensive, it will surely satisfy the meticulous taste of coffee lovers. This all-in-one powerful coffee maker can also make cappuccino and latte – which is an added bonus. 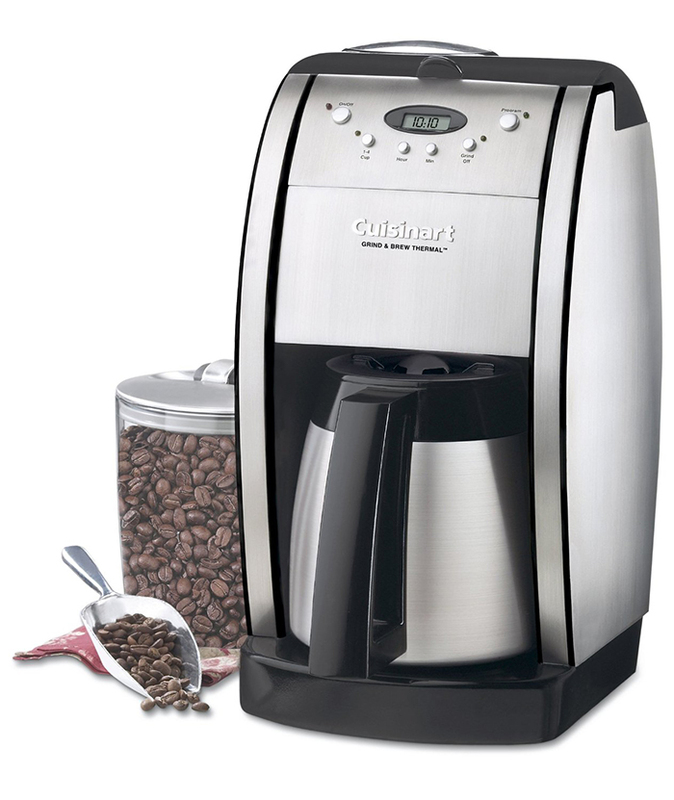 The Cuisinart Grind and Brew coffee maker are also good – but keep in mind that it only carries a built-in blade grinder (not a burr grinder – as in the case of the Breville model). Blade grinders produce uneven coffee grounds which always result in a not-so-perfect cup of brewed coffee. Yes, always – that’s why it’s more practical to pick a unit that comes with a burr grinder. If you’re a coffee lover like me, I would invest on the Breville Espresso Machine instead of the Cuisinart Grind and Brew coffee maker. As an espresso machine, the Breville unit can also make Americano, Cappuccino, and Latte. And of course, you can also add sugar and cream to your coffee – it’s all up to you. The important thing is that you have a perfectly made fresh cup of flavorful, aromatic brewed coffee to start with. Don’t forget to share this post with fellow coffee lovers – so that they, too, can enjoy a perfect cup of brewed coffee every day. 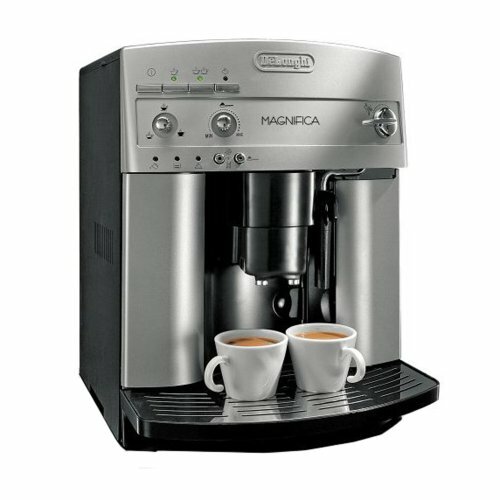 DeLonghi magnifica ESAM3300 works like magic for me.